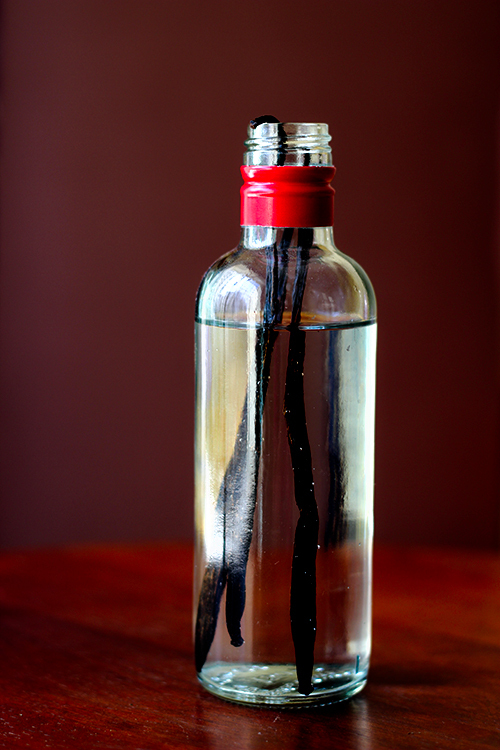 I have been procrastinating making a Vanilla Extract for more than a year. And I have no reason to explain it away. Finally I took the plunge and used the 3 Vanilla Beans I had saved for this. Everytime I look at the extract I wonder why? Why did I wait for it so long? 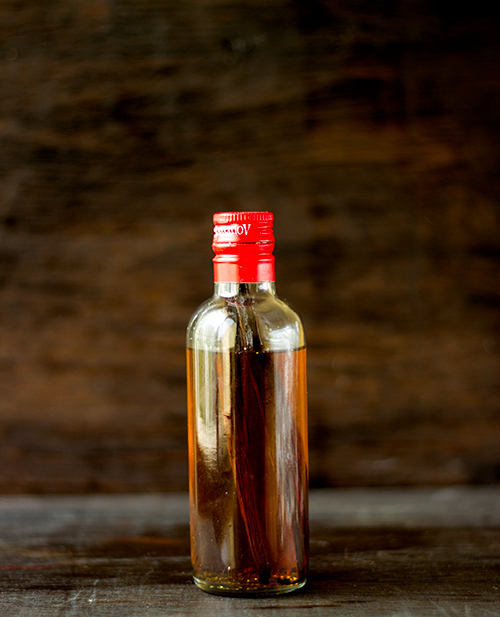 Making Vanilla Extract at home is the easiest part. Scrape out 1 bean. Put the bean, scraped pulp and remaining beans in a clean bottle. Pour the vodka into the bottle. Close the stopper and shake the bottle well to distribute the seeds. The extract will be clear for first few days and soon after it will start getting darker. After 2 weeks you can use the extract but the flavour will be very subtle. After 3rd week, the color should be amber and aroma is richer. I used vodka bottle to make extract instead of putting it in another bottle. You can use any container you prefer. The number of pods will depend on the container you use. Best results if you can wait out for 4-5 weeks and then use extract. 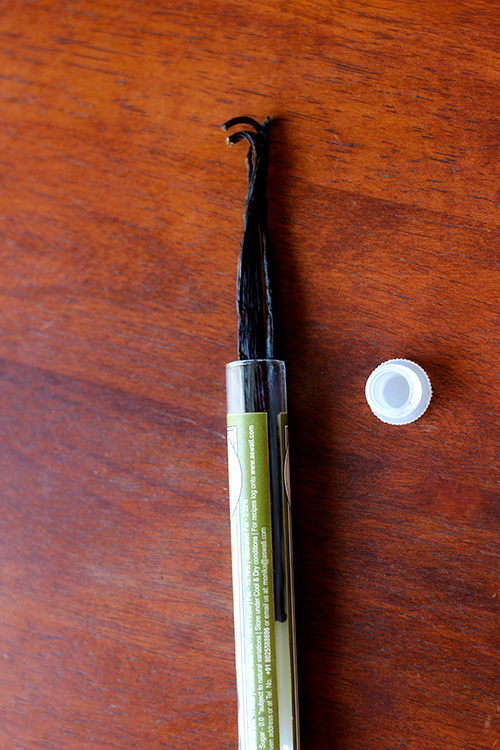 If using in Buttercream, strain the extract to remove any vanilla strings. It can be stored at room temperature forever and the flavour just keeps getting better & better.